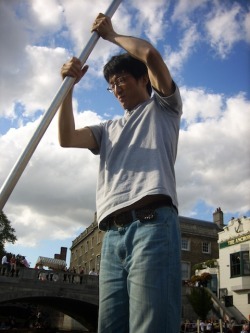 Chanchul Jung is a PhD candidate in Film Studies in the Centre for Intercultural Studies at University College London. He completed his MA in Film Studies at UCL in 2008. Before coming to UCL, he lived, worked, and studied in South Korea. His interests include international early and silent cinema, classical film theory, early cinema and the experience of modernity, the cultural history of capitalism, film historiography, film exhibition and spectatorship. His dissertation work concerns early cinema and its relationship with modernity in the early Korean cinematic context. He is a great fan of modernist cinema of the twenties (Soviet, French, and German), as well as of Bresson, Antonioni, Tarkovsky, and Robert W. Paul.